Pastor Jaime Sicairos was born in Phoenix, Arizona on September 10, 1982. He lived in Arizona with his family until he was 7 years old. Around that age, his family moved to Lebanon Junction, Kentucky. Pastor Jaime was born again at Faith Baptist Bible Church in June of 1992. Not long after that, the Lord began dealing with pastor’s heart at a very young age about dedicating his life to full time Christian service. During pastor’s teen years his family moved back to Arizona. At the age of 14, at youth camp in California, pastor felt a heavy burden and a calling to preach the gospel. The very next day he preached for the first time. Since that time, God has been preparing him for the ministry. Specifically, a calling not only to preach, but the burden to one day serve in the pastorate. 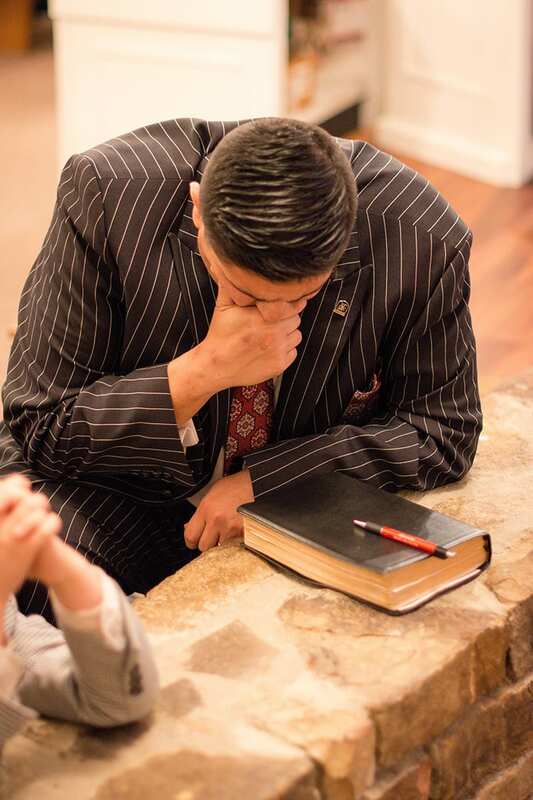 Pastor Jaime Sicairos graduated from Gateway Baptist Academy in Gilbert, AZ at the age of 17. After high school graduation, he moved back by himself to Kentucky to attend Truth Baptist Bible College. (TBBC is now a ministry of Maryville Baptist Church in Louisville, KY) While attending bible college and as an active member at Faith Baptist Bible Church in Lebanon Junction, he met his future wife Elizabeth Turner of Springfield, KY at church. Their first “date” was at a church sponsored Valentine’s Banquet at which pastor was the guest speaker. Shortly after Pastor and Sister Elizabeth fell in love and were married on February 23, 2002. In June of 2003 Pastor Jaime Sicairos and his wife were called to serve as principal and teachers at Micah Christian School, a ministry of Maryville Baptist Church under Pastor Jack Roberts. Bro. Jaime graduated from Truth Baptist Bible College in May of 2004 with a Bachelor of Theology. In July of 2005, he and his wife were blessed with their first son, Nicholas. Pastor also received a “License to Preach” issued by Maryville Baptist Church in 2006. The following year was really a heart searching time for pastor and his family on where the Lord would lead them to serve. Pastor was ordained at his first pastorate of North Harrison Baptist Church in Ramsey, IN in 2006. Bro. Jaime served for a short time as pastor of NHBC and as Associate Pastor of Liberty Baptist Church in Prescott, Arizona in 2007. In August of 2007, Pastor and family were called back to serve as Assistant Pastor of Faith Baptist Bible Church. In February of 2008 and February of 2009, God blessed again with two more sons: Connor and Jameson. Then in April of 2011 God sent their little girl Sienna to complete their family. Those 5 years as assistant pastor were very valuable years of training, serving and growing personally and in the ministry. During his time as assistant pastor he taught young adults Sunday school, ran a bus route, led a door to door soul winning program, taught soul winning classes, directed VBS and other outreach programs, filled the pulpit when needed and just worked wherever there was a need. 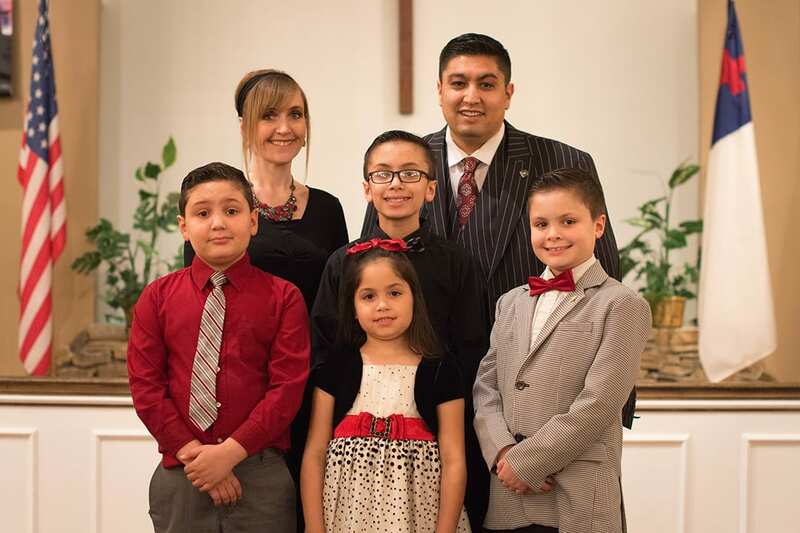 In May of 2012 Pastor Jaime Sicairos was asked to candidate at Calvary Road Baptist Church. After much prayer by himself and the people of CRBC, on June 17, 2012, Bro. Jaime accepted the call to be pastor. Bro. Jaime’s wife also serves as church pianist, Sunday school teacher, Christian school teacher, and much more. During this time we have seen God bless and grow the church. Pastor is excited and has a great vision for the future of CRBC. Pastor Jaime not only believes in the future growth of CRBC, but practices and emphasizes personal growth in his own life and family. Bro. Jaime is currently working on his Masters in Christian Counseling from Bethany Divinity College and Seminary of Dothan, AL. 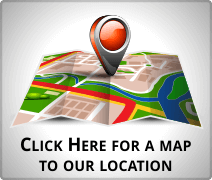 Please come by and meet our pastor or reach out to him personally at our contact info.